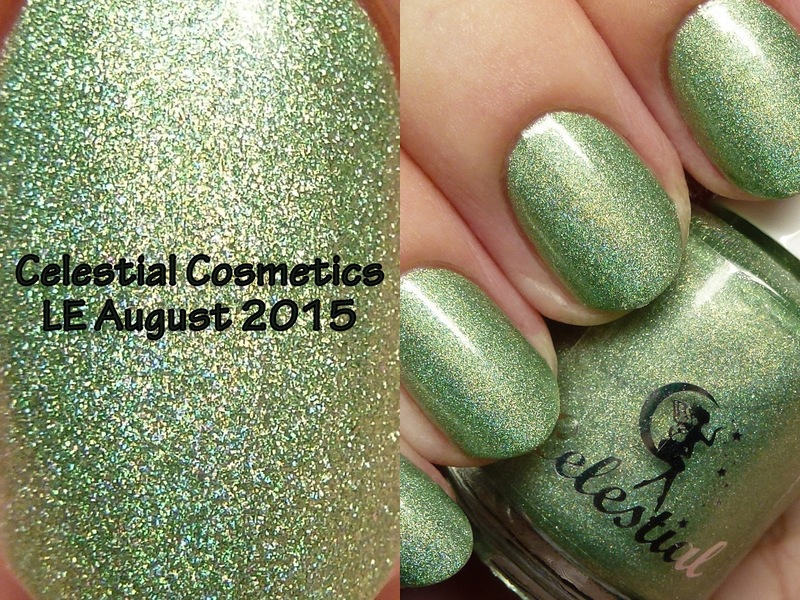 LE August 2015 is a celadon holo with gold microflakes. 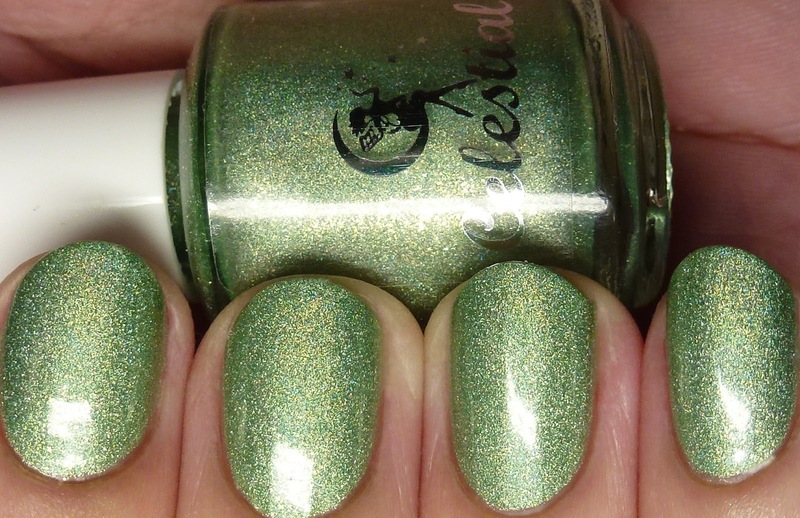 As usual for the brand's scattered holos, this polish applied like a dream, dried glossy and quickly. 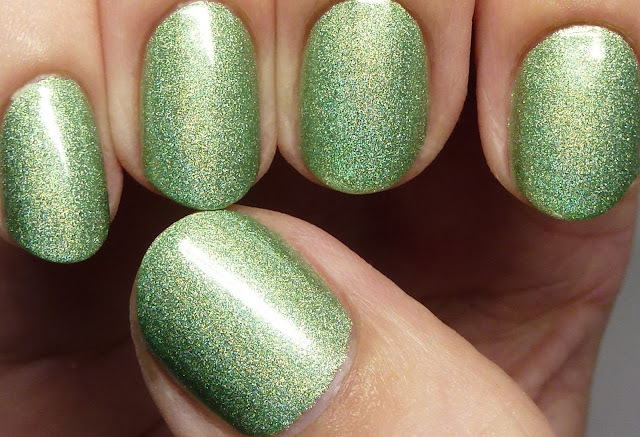 This mani is done with three thin coats but two would do. The polish is inspired by the August birth stone, peridot. 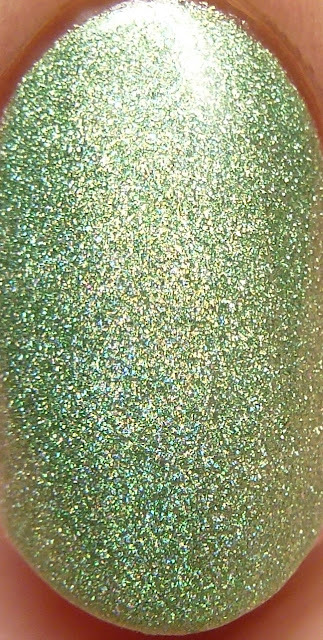 This polish will be available on July 31 for $12 for a full sized bottle. 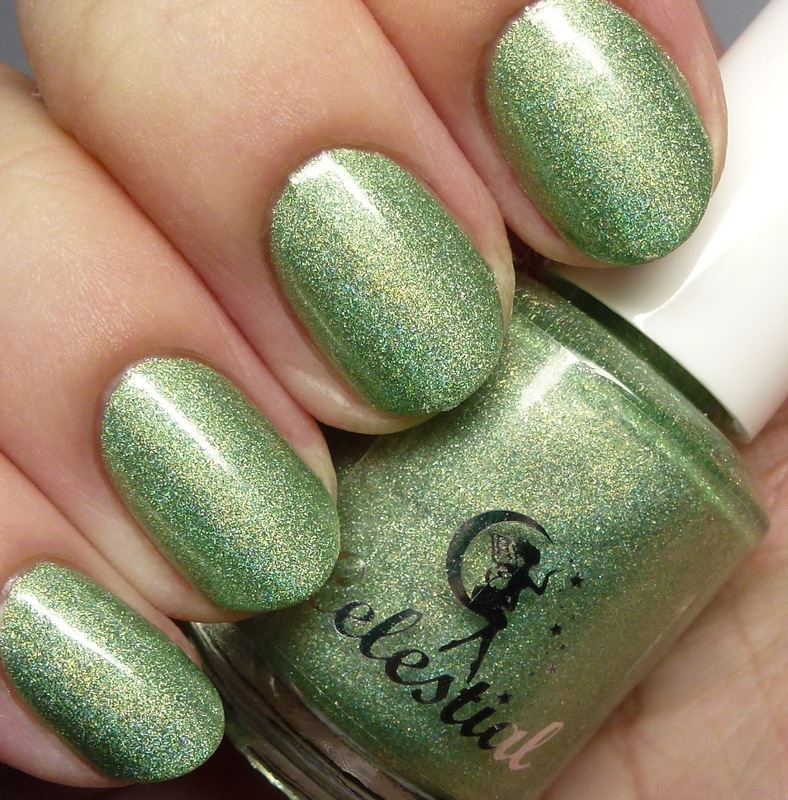 If you are a green lover and/or like strong scattered holos, I highly recommend picking this up!